Don Williams had a very successful career in Country Music and is pretty much beloved throughout the English-speaking world. Don would have a long run of chart singles (46 as a solo artist) that would run from 1973 to 1992, and he would continue to release albums of new music through 2014. With such a long discography, the task is twofold: (1) find artists whose styles are sympathetic to the honoree’s style without being mere imitations, and (2) find some interesting catalog songs rather than simply covering the biggest hits. Moreover, tribute albums tend to be a mixed bag with some of them being very good, and others merely star vehicles for current stars rather than genuine tributes. Gentle Giants is a genuine tribute to Don. This project succeeds in both respects. The artists cover a broad range of styles and while the songs are mostly big hits, a few lesser known songs are covered as well. The album opens up with the Pistol Annies’ version of “Tulsa Time” a song written by Danny Flowers, one of Don’s band members. The arrangement of this 1979 #1 record for Don is considerably funkier than Don’s arrangement. “I Believe In You” was written by Roger Cook and Sam Hogin, hitting #1 in 1980. This was probably Don’s biggest international hit, even reaching #4 on New Zealand’s pop charts. Brandy Clark does a decent job of the song, although it probably should have been tackled by a more grizzled artist than young Brandy. “We’ve Got A Good Fire Going” was not one of Don’s bigger hits, only reaching #3 in 1986. 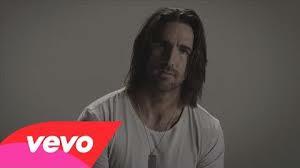 Written by master songsmith David Loggins, the song seems perfectly suited for a vocal trio such as Lady Antebellum. The arrangement is very gentle with a light string accompaniment. “Some Broken Hearts Never Mend” comes from the pen of Wayland Holyfield. The song reached #1 in 1977, Dierks Bentley gives the song an acoustic, nearly bluegrass arrangement. I love the song and I love Dierks’ performance of the song. While there are no complete misfires on the album, “Amanda” seems ill suited for the duo of Chris Stapleton and Morgane Stapleton. I really like Chris but his voice is just wrong for this song. His version is acceptable but both Don and ol’ Waylon did far better versions of the song. Similarly Alison Krauss makes the mistake of slowing the tempo in “Till The Rivers All Run Dry”. Since all of Don’s songs are taken at slow to medium slow tempos, reducing the tempo on any of Don’s songs is a mistake. Alison provides a gorgeous vocal, but the song just seems to drag. Don co-wrote this song with Wayland Holyfield, his fourth #1 from back in 1976. I regard John Prine as a talented songwriter but a poor vocalist with his vocal efforts ranging from mediocre to terrible. Somehow “Love Is On A Roll” works. It was a good idea to pair him with Roger Cook, especially since Prine and Cook were the writers on the song. Don took this song to #1 in 1983. Townes Van Zandt’s “If I Needed You”, as sung by Jason Isbell and Amanda Shires, was a bit of a disappointment, mostly because Amanda Shires is no Emmylou Harris as a harmony singer. I think the song originally was an Emmylou Harris single featuring Don Williams since it was released on Warner Brothers, which was Emmylou’s label. The song only reached #3 but I thought it was an outstanding effort by Don and Emmylou. I am not that familiar with Keb Mo’ but he nailed “Lord I Hope This Day Is Good”, adding a very sincere vocal to an arrangement that is nearly a clone of Don’s original. The song was written by Dave Hanner, best known for his role in the Corbin/Hanner Band. The song reached #1 in 1981. “Good Ole Boys Like Me”, written by Bob McDill is probably my favorite Don Williams song and Garth Brooks version tells me that Garth definitely grew up on and was inspired by Don’s songs. Billboard had this song dying at #2 but Cashbox and Record World both had it reaching #1. All said, this is a pretty nice album. Don Williams was a pretty laid back artist and I wish someone had selected some of the more up-tempo songs (admittedly, there were not that many from which to choose). Other than Leon Redbone and Bobby Bare, no one was as good at laid-back as Don Williams. Don’s eleventh album, released in June 1981, continued Don’s string of successful albums, reaching #5, his ninth (of eleven) albums to reach the top ten. Three singles were released from the album, all of which made the top ten: “Miracles” (#4 Billboard/ #1 Cashbox ), the exquisite duet with Emmylou Harris “If I Needed You” (#3 Billboard/ #1 Record World) and “Lord, I Hope This Day Is Good” (#1 across the board). The instrumentation on this album is a bit unusual for a country album of this vintage as a variety of odd instruments appear including such things as bongos, congas, ukulele, shaker and tambourine. Fortunately only the second and ninth tracks feature synthesizer, and Lloyd Green is present on steel guitar to restore order on five of the tracks. Unlike Don’s earlier albums, dobro (or resonator guitar) does not show up in the mix at all, and I definitely miss its presence. Dave Hanner was a familiar figure in the country music as a writer and performer (Corbin/Hanner). His songs have been recorded by the Oak Ridge Boys, Glen Campbell, Mel Tillis and the Cates Sisters but the capstone of his writing career is the classic “Lord, I Hope This Day Is Good”, a chart topper for Don and recorded many times since then including nice versions by Lee Ann Womack and Anne Murray. Don had Corbin/Hanner for his opening act on one tour. Taken at mid-tempo, this is one of the songs that come to mind when Don’s name is mentioned. Especially when they see you. When you whisper I love you. There is nothing that is holding us down. If I needed you, would you come to me? Would you come to me, for to ease my pain? “Now and Then” (Wayland Holyfield) and “Smooth Talking Baby” (David Kirby, Red Lane) are acceptable album filler, but nothing more. “I’ve Got You to Thank for That” by Blake Mevis and Don Pfrimmer is an upbeat mid-tempo love song song that grows on you over time. Blake Mevis had considerable success as a songwriter but may be best remembered as the producer of George Strait’s early albums. Thanks to me I’ve spent all that I have. But I learnt about love just one night. I don’t think Don Williams is capable of issuing a bad album. It appears that Especially For You was only briefly available on CD (I’ve been reviewing from a vinyl copy), but is currently unavailable. I prefer the more acoustic sound of Don’s earlier albums, but this is a good album that I would give a B+. Did I mention that I really missed that dobro? Texan singer-songwriter Hayes Carll’s new album sees him taking a more personal turn as he reflects on his experiences of fatherhood and divorce, and finding new love . The bluesy ‘Sake Of The Song’, whose title and vocal delivery both draw comparison with the Townes Van Zandt classic, is a co-write with Darrell Scott. It is about the musician’s true motivation: not stardom but the song itself. ‘You Leave Alone’ is a melancholic but sympathetic story song or portrait in song, of a dreamer who “never went nowhere”. The dissolute-sounding ‘My Friends’ pays tribute to the support of old friends, and has some interesting lines, but musically it’s a bit of a mess and he sounds as if he recorded it drunk. It is the closest thing here to the more raucous sound he has produced in the past, and on this showing it’s a good thing he appears to have moved away from it. ‘The Love That We Need’ was written with the artist’s new love interest, Allison Moorer, and fellow Texan Jack Ingram, and offers rather a bleak look at a passionless relationship. ‘Love Don’t Let Me Down’, the song from which the album’s title is drawn, displays the protagonist’s vulnerability but offers a gleam of hope for happiness. The pleasant mid-tempo ‘Love Is So Easy’ is a slightly quirky love song. ‘The Magic Kid’ is a tender description of Carll’s young son, a talented conjuror, and of the courage of innocence. The delicate ‘Jealous Moon’ ends the album on a poetic note. This album marks a maturing of Carll as an artist, and I was very impressed. While he’s not the greatest of vocalists, he gets his songs across adequately, and the song quality is what matters here. Every year the pickings on country radio seem to get slimmer and slimmer, with fewer slots available for anything really country, or for material with any lyrical depth. But there are still some gems out there, and a few of them are even hits. So here is my personal pick of the year’s singles. The arrangement is a bit rock-oriented for my taste with fuzzy guitars but this is a great song with a very strong melody and plaintive vocal from Zac, so it just squeezes into my top 10 ahead of Josh Turner’s current single ‘Lay Low’ which I liked a lot but didn’t feel had a lot of depth. 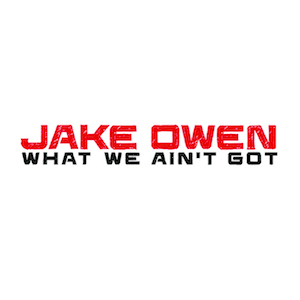 ‘All Alright’ underperformed on country radio, just scraping into the top 20, perhaps because the band have cut their ties with Atlantic and lost some promotional muscle. Sunny rocks out and exercises her wild side. One of the best songwriters in Nashville (she also co-wrote ‘Bad Girl Phase’), Brandy is also a fine singer, and this single comes from my Album of the Year of 2013. A jaundiced depiction of a marriage failing thanks to one party’s drinking, while the other moves on, unnoticed, it is a brilliantly observed slice of life. Brandy has recently signed a deal with Warner Brothers which may get her music wider recognition. One of the biggest stars of the 1970s and 80s revives a deeply romantic song reminiscent of his best, written by the legendary Texas songwriter Townes Van Zandt. Warm and tender in all the right ways. The 90s star at his ballad-singing best, with a sensitive and thoughtful lyric about rising past hard times. It was written for a Walt Disney biopic, but its genuinely inspirational message is universal. 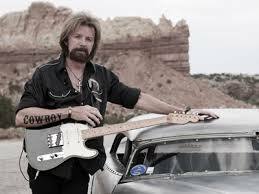 Tritt’s vocal is excellent, sweet and tender, and backed by a tasteful arranagement. The young country-rocker’s third single (written by himself with Brice Long and Bart Butler) peaked just outside the top 30 – a disappointment following his top 10 breakthrough in 2013. The singer’s youthful energy sells the cheerful confession of over indulgence in sinful pleasures. Highly likeable. Technically this came out at the end of 2013 (and Razor X listed it in his top 10 singles for that year), but I’m counting it as a 2014 single. A melancholy reflection on growing older which was written by Lori McKenna, Luke Laird, and Barry Dean, Dunn’s vocal is perfectly judged with a wistful yearning for the lost innocence and carelessness of youth, “When I didn’t know what wasn’t good for me, but I knew everything else for sure”. Unfortunately it was far too good, and adult, for country radio to give it the time of day. This smart and funny satirical take on bro-country was a big surprise, coming from a pair of unheralded teenagers. It’s still on the poppy side aurally – but the clever and punchy lyrics work so well I don’t care about that for once (and the production is relatively restrained). They remind me quite a bit of the shortlived Wreckers. I’m interested in seeing what they come up with in future – and this song making it big on country radio is a great sign. A delightful confection from another veteran who still has the goods. Dolly wrote the bluegrass-tinged tune as well as performing it with her customary zest. This is a beautifully understated and philosophical sad lost love song written by Travis Meadows based on his own bitter experiences. Jake has gone on record to declare this the best song he has ever recorded, and he is dead right. It’s also the best mainstream single by anyone for quite some time. It’s still rising slowly up the charts, and may not be the smash hit it deserves to be: but it’s the song of the year as far as I’m concerned. The Skaggs and White families have been performing and recording together for decades, so it’s a little surprising that up to now there was never an full-length collaborative album featuring just Ricky and Sharon. They seek to rectify that oversight with the release of Hearts Like Ours, which became available on September 30th. There aren’t any real surprises in this release which fails to break any new ground, despite being a solid effort with many enjoyable efforts. Produced by Ricky and released on the Skaggs Family Records imprint, the album consists of mostly duets, with a few Sharon solo numbers and plenty of fiddle and steel. The overall message is positive; there are no drinking, cheating or three-hanky songs to be found, although the album might have benefited from one or two of those. It opens with an excellent cover version of “I Run To You”, which doesn’t stray far from the original Marty Stuart and Connie Smith version. Almost as good is their rendition of Townes Van Zandt’s “If I Needed You”, which was a Top 5 hit for Emmylou Harris and Don Williams in 1981. The couple also covers their own 1986 hit “Love Can’t Ever Get Better Than This”, which is well done, but as is usually the case with re-recordings, it does not compare to the original version. Neither “When I’m Good And Gone” nor “I Was Meant To Love You” is a duet; Sharon takes the lead and Ricky sings harmony on both songs which were written by Leslie Satcher; the former being co-written with Buddy Jewell who had brief shot at country stardom in the early 2000s. Another former country star, Barbara Fairchild wrote “It Takes Three”, which is a little too saccharine for my taste. Although I enjoyed the title track, another Marty Stuart/Connie Smith composition that features lead vocals from Sharon and harmony from Ricky, it was not quite as good as I thought it would be. I’d like to hear the songrwiters perfrom this one. The songwriting team of Paul Overstreet and Don Schlitz wrote some of my favorite songs back in the 80s, so it is no surprise that their “Hold On Tight (Let It Go)” is the best song on the album (with “I Run To You” running a close second). “No Doubt About It”, the album’s sole bluegrass track, is also quite good. The two Christian-themed songs, “Reasons To Hang On” and “Be Kind”, have to be classified as missteps, albeit slight ones. I enjoy religious music, but the Skaggses have an unfortunate tendency to venture into contemporary Christian territory when more traditonal gospel would play more to their strengths. Though I wanted to like this album a little more than I did, overall its strengths outweigh its weaknesses and fans of Ricky Skaggs and The Whites will find much to enjoy. Barely three months after the release of a collection of inspirational songs, Joey + Rory are back with Made To Last, their fifth album overall and the first released on their own Farmhouse Recordings imprint. Like its predecessors, its songs are homespun tales of love and heartache with touch of nostalgia and the occasional more contemporary number, all simply yet elegantly produced. To get things started, the duo dusts off the old Townes Van Zandt chestnut “If I Needed You”, which is a faithful reproduction of the Emmylou Harris and Don Williams recording that reached #3 in 1981. It is the first of the album’s two cover songs, which will be familiar to many country fans. The second is “Just A Cup Of Coffee”, which finds Joey trying to keep her expectations in check before a reunion with an old flame. The Stephanie Davis-penned tune was included as a bonus track on Trisha Yearwood’s Greatest Hits album in 2007. It’s an excellent song that deserves wider attention, but sadly isn’t considered commercially viable in the current environment. Made To Last conatins no surprises — in fact most of the songs were already performed on the duo’s RFD television series — and no artistic stretches. Instead the duo gives their fans exactly what they have come to expect: typical Joey + Rory fare — quiet and mostly acoustic fare that makes the listener feel as though he or she is sitting around the living room with Joey and Rory. Among the highlights are two tear-jerkers: “50,000 Names”, a Jamie O’Hara composition that pays homage to the fallen heroes of the Vietnam War and “Now That She’s Gone”, a Rory Feek co-write with Morgane Hayes, which tells the sad story of a young widower who is unable to come to terms with his devasating loss. “Made To Last” is a lovely ballad written Austin Cunningham and Allen Shamblin number that talks about the increasingly rare enduring items in a throw-away society. Both “50,000 Names” and “Made To Last” feature Rory on lead vocals — the duo is sharing lead vocal duties as they did on His and Hers. I haven’t been a huge fan of his singing in the past, but I’ve come to appreciate his vocal abilities on this collection. Two of the album’s most intimate numbers discuss the music business itself: Tim Johnson’s “To Do What I Do” expresses appreciation for the fans, whose support compensates for the dues-paying that comes with an entertainment career. In “I Sing For You”, the husband and wife duo address each other, vowing to continue singing for each other, even when the world is no longer listening. The album’s weaker moments are on two of the uptempo numbers: “Good Truck”, a Rory co-write with Zac Brown, Coy Bowles and Nick Cowa and “I Love You Song”. The former isn’t a bad song per se, but like many country fans I’m suffering from truck song fatigue, although this one is admittedly a great deal better than any other truck song I’ve heard lately. “I Love You Song” is lyrically vapid filler. I was slightly underwhelmed by last year’s His and Hers, so I was pleasantly surprised when the material turned out to be stronger this time around. It is quite possibly my favorite Joey + Rory album to date and I highly recommend it. Whatever else one may think about Willie Nelson, there are two things that are absolutely true about the man – he has a strong sense of the history of the genre and he believes in paying it forward and back. Take a stroll through the sales pages of a website such as CD Baby and count the number of country albums by unheralded artists that feature a track or two in which Willie Nelson does a guest duet or harmony vocal. As for duet albums, Willie has recorded more duet albums than most regular duos record in their career. In this article we will take a look at some of the many duet albums that Willie has recorded with other country artists. We won’t be looking at the albums he cut with Ray Price (someone else will do that article) and we won’t be looking at the albums that Willie cut with artists outside the genre such as Ray Charles, Julio Iglesias, Wynton Marsailles, Leon Russell or Norma Jones. This will be country music – period. Willie Nelson and Roger Miller (1936-1992) were contemporaries and old friends who both played in Ray Price’s band. Roger was a unique talent, perhaps the greatest entertainer the world has ever seen. Roger barely needed even a guitar to keep an audience enthralled for hours, but before breaking through as a performer, he was a solid country songsmith, writing hits for other singers such as Jim Reeves and Ray Price. This album, partially recorded at Willie’s Pedernales Recording Studio and using Willie’s band augmented by a few extra musicians such as Johnny Gimble (fiddle and mandolin), Grady Martin (guitar) and Jimmy Day (steel guitar) has the sound of a Willie Nelson album but all of the material is associated with Roger Miller (Roger wrote all ten songs, one a co-write with Bill Anderson). Staying away from the obvious Miller hits (most of them novelties that don’t lend themselves to duets) Willie and Roger tackle Roger’s solid classics that were hits for others such as “Invitation To The Blues” (Ray Price), “Half A Mind” (Ernest Tubb) “When Two Worlds Collide” (Jim Reeves) and “Husbands & Wives” (a hit for Roger, Jack Jones, Brooks & Dunn and also recorded by many others such as Neil Diamond). The single released from the album, “Old Friends”, also featured Ray Price, and scraped into the top twenty. Oddly enough only three of the songs are actual duets at all (Roger solos on three songs, including the only novelty on the album “Aladambama”, and Willie solos on four songs), but they do represent an enlightening dip into the Roger Miller song-bag. Faron Young (1932-1996), although only a year older than Willie, had already been a star for six-plus years when Willie hit Nashville. Faron gave Willie his first two big breaks as a songwriter: he recorded “Hello Walls” (a million seller in 1961) and he refused to let Willie (the proverbial starving songwriter) sell him the song for $500, lending him the money instead. At the time, Faron had already seen the preliminary sales figures for the song and knew the songwriters’ royalties would be thousands of dollars. Willie never forgot this and the two remained friends until the end of Faron’s life. Faron would have hits on several other songs written by Willie and this album features most of them. “Life Turned Her That Way” and “Going Steady”, plus the title track – written by Willie but not a Faron Young hit. This album was released in 1985. By then Faron’s 22 year run at the top of the charts was long over, but Faron could still sing. Consequently, even though this album was recorded at Pedernales studio, the musicians are Nashville session men and the album does not come across as a Willie Nelson album, but as a true collaborative effort. Faron solos on “Four In The Morning” and Willie solos on “She’s Not For You” but the rest is duets including possibly the best versions you’ll ever hear on “Hello Walls” and “Funny How Time Slips Away”. Webb Pierce (1921-1991) was the biggest star in country music during the decade of the 1950s and remained a viable star until about 1967, after which time his high nasal style permanently fell out of vogue (except in bluegrass music). Most observers have failed to see Willie’s connection with Webb Pierce, who never recorded any of Willie’s songs, except as album cuts, and never had any working relationship with Webb, and it is a bit tenuous to see the connection, although Willie’s vocal phrasing and pinched nasal vibrato seem influenced by Webb’s vocals of the 1950s. This album features duets on nine of Webb’s 1950s recordings, including Webb’s mega-hits “Slowly”, “There Stands The Glass”, More and More”, “Wondering” , “I Don’t Care” and “Back Street Affair” (a sextet of songs that spent eighty weeks at #1) plus three more songs that appeared on Webb’s albums and one new song written by Willie Nelson, Webb Pierce and Max Powell , the bluesy “Heebie Jeebie Blues #2” . The album was recorded at Pedernales Studio using Willie’s band augmented by Johnny Gimble, Grady Martin, Jimmy Day, Leon Russell and Richard Manuel. The only single released from the album, “In The Jailhouse Now” barely dented the charts at #72, but Webb’s voice had dropped enough in pitch to make him an effective duet partner for Willie. Both singers obviously had fun recording this album and I regard this as the most effective of Willie’s major label duet albums. Curtis Potter (1940 – ) is part of the Willie’s Texas connection, having served as Hank Thompson’s band leader from 1959-1971 and one of Willie’s circle of friends including Johnny Bush, Darrell McCall and who knows how many others. Curtis never became a big star outside of his native Texas but he is an impressive singer and he and Willie harmonize well on this collection of country songs. Produced by Ray Pennington, the in-house producer at Step One Records, this collection features three songs written by Pennington, three written by Nelson, plus some outside material. This album features none of Willie’s band members, aiming instead for a Texas Swing/Honky-Tonk feel with outstanding fiddle work by Rob Hajacos and steel by Buddy Emmons. For me the highlights are “The Party’s Over” and “My Own Peculiar Way” in which Willie and Curtis swap verses on a pair of Willie classics, and Willie’s solo turn on Ray Pennington’s “Turn Me Loose and Let Me Swing”. That said, I really like this entire album. It’s been in my car CD player for the last week. Delta Records is a long-defunct Texas independent label that never had much distribution outside of Texas and had some of its inventory confiscated by the IRS during Willie’s tax problem days. Johnny Bush Shinn (1935 – ) is a long-time friend of Willie’s dating back to the 1950s. Both were in Ray Price’s band and have been members of each other’s bands at various times. This twelve song album features ten duets plus Johnny Bush solos on “Driving Nails In My Coffin” and his own “Whiskey River” (taken at a very different tempo than Willie usually performs it). The album opens up with the Buck Owens classic “Together Again” and works its way through a solid program of songs including the Paul Simon song “Still Crazy After All These Years” plus Willie Nelson tunes “I Let My Mind Wander”, “I’ve Just Destroyed The World I’m Living In” , “The Party’s Over” and “My Own Peculiar Way”. “Whiskey River” was released as a single just denting the top 100, and “You Sure Tell It Like It Is, George Jones” was also released as a single, although it didn’t chart (it is a great track). “The Party’s Over is a standout track as is “The Sound of A Heartache”, a song written by Johnny Bush. The album was recorded at Willie’s Pedernales Studio, but produced by Johnny Bush. Willie’s band was not used on this album, so the sound is more that of a conventional country band. This album was recorded after Johnny was struck with spastic dysphonia so he was not at his vocal peak , but still he was still a tremendous singer, if not quite the ‘country Caruso’ (later medical discoveries would restore him to peak condition). Chicago-based singer-songwriter Robbie Fulks has long skated along the boundaries between alt-country and retro-hillbilly with an often-ironic, sometimes-serious slant. The width, and sometimes, eccentricity, of his artistic vision has made his work a bit hit and miss for me, but his latest effort is by far my favourite of everything he has recorded, and he is taking things seriously here. For the bulk of this album his inspiration is the deepest roots of country music. The arrangements are mainly acoustic, some with a bluegrass feel, others with an older sound. There are some well-written thoughtful songs, and while Fulks isn’t the best vocalist he is perfectly capable on this kind of material. There are a couple of traditional instrumentals which fit in nicely with the new songs, all written by Fulks. The musicians in general do stellar work, with some particularly fine fiddle from Jenny Scheinman. The outstanding track is the opening ‘I’ll Trade You Money For Wine’. The song is written from the point of view of a once-wealthy alcoholic who has lost everything, and is a masterpiece . The post-divorce ‘When You Get To The Bottom’ is also excellent, with close harmony from Ron Spears giving it a classic country feel. Also very much in a traditional bluegrass vein is the lovely story song ‘Rose Of The Summer’, with more fine harmonies. The high lonesome ‘Long I Ride’ is another very authentic sounding song musically with Celtic influences in the backing. The gentle ‘That’s Where I’m From’ is how to write a thoughtful, resonant song with real depth about growing up in the country. The more downbeat ‘Where I Fell’ reports a small town’s decline with a wearied, clear-eyed honesty and a very stripped down backing. ‘Guess I Got It Wrong’ has a singer-songwriter country-folk feel, in the vein of Townes Van Zandt. A quietly understated melody and chastened lyric about finding love doesn’t work out. The very slow and stripped down ‘Imogene’ has less appeal to me, although it is certainly interesting; it seems more redolent of 1920s jazz than country. ‘The Many Disguises Of God’ plods musically with some rather weird and ugly experimental sounds which didn’t work for me at all; it also sounds as though it was recorded in too low a key for Fulks’s voice. Overall, however, this mature work is the best thing Fulks has done to date. Released in January 1983, Pancho and Lefty was one of the biggest selling albums of that year. Commenter Ken Johnson provided some details on the recording of this album, which can be read here. The album featured two singles, “Reason To Quit” and the title track. Pancho and Lefty was nominated for Album of the Year by the CMA, but lost to Alabama’s The Closer You Get. Looking back now, it’s funny to hear Haggard and Nelson facing their demons in song. I especially enjoy the line where Willie sings about not being able to afford his habit, like that ever stopped him from his marijuana addiction. The tongue-in-cheek nature of the song works, but the vocal performances weren’t very engaging. They sound fine when singing a part but their voices don’t seem to blend that well together here. The same can’t be said for the title track, which ranks among my favorite country songs of all time. Originally recorded by its writer Townes Van Zandt in the early 1970s and then Emmylou Harris on her Luxury Liner album, it’s this duet between Nelson and Haggard where this song finally received its due. I love the expertly crafted story and the guitar riffs that open this song. The gentle and easy-going production helps this song age better over time than most of this album. I grew up with both my grandfather and parents loving “Pancho and Lefty” so I got really turned on to it as a kid. While the interplay by Nelson and Haggard is missing here as Nelson takes the lead, that choice in crafting this a non-traditional duet never bothered me. I’ve always enjoyed when Haggard kicks in on the third verse, and the music video only furthered the legendary status of this song. I’ve been an unabashed fan for as long as I can recall and my love and appreciation of this song has only deepened overtime. I can’t say the same for the rest of this album. From 2011 ears, this almost thirty-year-old album hasn’t aged well which is a shame considering the talent that created it. While the production is kept understated and traditional in nature, it doesn’t keep songs like “It’s my Lazy Day” and “My Mary” from coming off a bit cheesy. The former suffers from an attempt to come off light and breezy while the latter sounds foolish coming from Haggard. The way he gushes about Mary like a fetish object underscores Haggard’s talent for honest and hard-hitting country music. Thankfully, “Half A Man” and “No Reason To Quit” see the album turning around and Haggard restoring the faith that he hadn’t resorted to keeping his career alive through material a notch below sub-par. The Nelson pinned “Half A Man” is the result of a bad relationship in which the man is now only “half a man” that “you made of me.” It’s a strong tale about the pieces left when relationships are over and features a nicely understated production of piano, drums, guitar, and flourishes of fiddle. And “No Reason To Quit,” a better song than the single “Reason to Quit,” finds Haggard lamenting about his drinking habits saying he could quit tomorrow but has no reason too. The blunt honesty that trademarked his best work is on full display here and the production matches that of “Half A Man” – the perfect amount of softness to allow Haggard ample ability to convey the lyrics, which were composed by Dean Holloway, who co-wrote “Big City” with him. “Still Water Runs The Deepest” acts as a change of pace for the album, previously heavy on Haggard singing lead, this finds Nelson at the helm. Along with the change in vocalists comes an up kick in energy brought by Nelson to the track. Written by Jesse Ashlock, it’s a familiar tale of an ending relationship – the woman has done the man wrong and the couple has been together for too long. I also love the production on this song. The lead guitar gives it an almost Spanish vibe that I really dig. “My Life’s Been a Pleasure” continues the change of pace through a very unique fiddle solo that helps the track stand out from the rest of the album even though it isn’t dramatically different in lyric or texture from anything else in the set. Also written by Ashlock, it’s a positive spin on love where life was enhanced because of the relationship, not beaten down by it. Haggard’s wife Leona Williams composed “All The Soft Places to Fall,” and it’s a classic Haggard-type song. A true duet, it features a nice interplay between Haggard and Nelson and understated production that helps sell the lyrics. It’s one of my favorite songs on the whole project and grabbed me from the beginning. I like it because it feels like a return to form for the duo who are at home on a song in this vein. Pancho and Lefty closes with “Opportunity to Cry,” a typical Nelson-style ballad he also wrote. I can’t muster up enthusiasm for the song because it’s too maudlin for my tastes. Nelson does what he does best here, but I’ve heard this kind of thing before, and don’t really get excited about hearing it again. As an overall album, Pancho and Lefty is hit-or-miss with me. There were far too many places where the production, while understated and traditional, aged very poorly. On the strength of the title song I can see where this album garnered the love it received in 1983, but this just isn’t my type of thing. Too many ballads wore down this project and there wasn’t much I could be excited about. The album was re-issued in 2003 with two extra tracks, an alternate take on “Half A Man” and the new song “My Own Peculiar Way.” The “Half A Man” reprise doesn’t offer much to differ from the original and “My Own Peculiar Way” is indicative of the rest of the album and features Nelson singing lead. Pancho and Lefty is available in both hard and digital copy from Amazon and on iTunes . 1977’s Luxury Liner is the third offering in Emmylou Harris’ discography, excluding 1970’s Gliding Bird. Like its two predecessors, it is an eclectic mix of country and rock-and-roll, relying a little more heavily on cover material than her earlier albums had done. Produced by Brian Ahern and backed by her superb Hot Band, Emmylou pays tribute to everyone from Chuck Berry and her late mentor Gram Parsons to The Carter Family, The Louvin Brothers, and Kitty Wells. Though it failed to produce any Top 5 hits, Luxury Liner reached #1 on the Billboard Top Country Albums chart and is Emmylou’s best-selling solo effort. Rodney Crowell, Albert Lee, Glen D. Hardin, Emory Gordy Jr. and Ricky Skaggs all make appearances as members of The Hot Band, while Herb Pedersen, Nicolette Larson, Fayssoux Starling, and Dolly Parton lend their voices to the project. The first single was a cover of Chuck Berry’s 1964 hit “You Never Can Tell (C’est La Vie”), which is given a Cajun flavor by Ricky Skaggs on fiddle. It reached #6 on the Billboard country singles chart. For the second single, Emmylou did an about-face and released the very traditional “Making Believe”, a remake of Kitty Wells’ 1955 hit. Emmylou’s version reached #8. Although only two singles were released, Luxury Liner contains some very well known album cuts. “Hello Stranger”, on which Nicolette Larson chimes in, had been a hit for The Carter Family in the 1930s. Though clearly not in the vein of what country radio was playing in the 1970s, I was surprised to learn that the track had never been released as a single, primarily because of its inclusion on Emmylou’s 1978 compilation album Profile. Also in the traditional vein are Susanna Clark’s “I’ll Be Your Rose of San Antone” and a remake of the Louvin Brothers’ 1955 recording “When I Stop Dreaming,” on which Dolly Parton provides a beautiful harmony vocal. My personal favorite among this set, “When I Stop Dreaming” sowed the seeds for the Trio project which would appear a decade later. On the more contemporary side are the title track and “She”, both written by Harris’ mentor Gram Parsons (the latter co-written with Chris Etheridge), a pair of Rodney Crowell tunes (“You’re Supposed To Be Feeling Good” and “Tulsa Queen”, which he co-wrote with Emmylou), and a cover of Townes Van Zandt’s “Pancho and Lefty”, a tale of two aging Mexican bandits, which would go on to become a #1 smash for Willie Nelson and Merle Haggard in 1983. Warner Bros. remastered and re-released Luxury Liner in 2004, along with two bonus tracks: “Me and Willie” and the excellent “Night Flyer” which was written by Johhny Mullins. 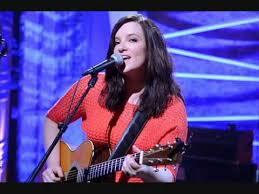 Mullins is best known as the writer of “Blue Kentucky Girl” which had been a hit for both Emmylou and Loretta Lynn. Eclectic albums are hard to pull off; it’s difficult to perform a wide variety of musical styles well. It’s even more difficult to put together such a collection without losing cohesion or alienating fans who prefer one style over another. But Emmylou and the Hot Band move seamlessly from rock to old-time country and everything in between, and even though I consider the two Crowell-penned tunes to be the weakest on the album, there really isn’t a bad song to be found here. Luxury Liner is available from Amazon and iTunes and is well worth seeking out.